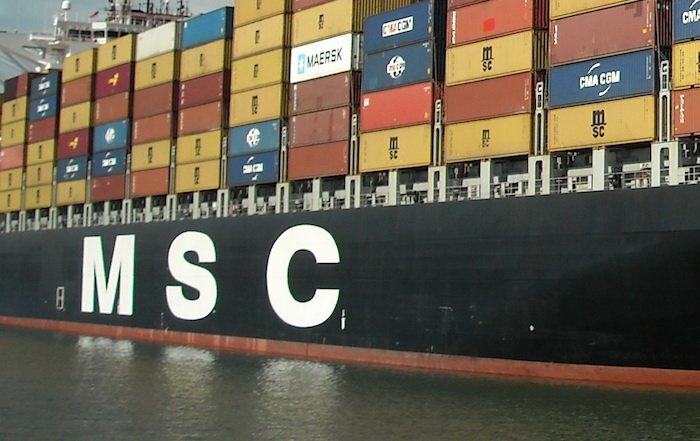 Mega container ship MSC Luciana collided with Chinese engineering ship Su Lian Hai Ji 0118 near Caofeidian Port in Hebei on Tuesday. The engineering ship suffered severe hull damage after the collision and took on water. Beihai Rescue Bureau sent a rescue boat after receiving the distress signal from the ship and managed to tow the vessel to a nearby beach. All 16 crew onboard the ship have been rescued without injury. The 11,700 teu MSC Luciana, operated by Mediterranean Shipping Company, suffered minor damage and was brought to anchor at Caofeidian Port. According to latest AIS tracking, the ship has set sail again yesterday.